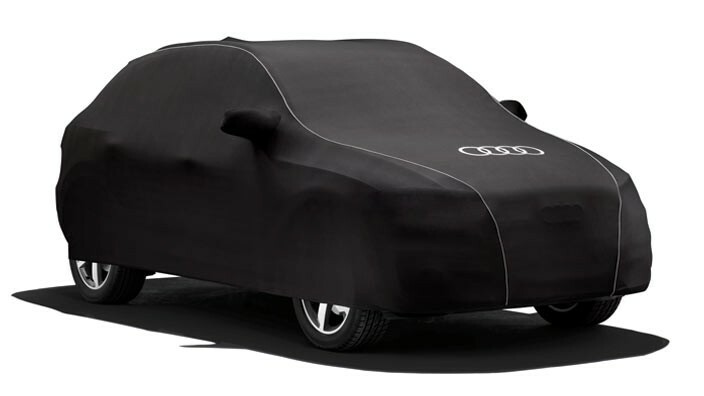 Vehicle cover made from breathable, antistatic material. Includes beading, which accentuates the lines of your Audi. Protects your vehicle optimally against dust and dirt. Anthracite with Audi rings.